Long-simmering tensions between the activist and business wings of the Massachusetts marijuana community boiled over this week, after several medical dispensaries urged the state to grant them a significant head-start in the recreational market while delaying or limiting the licensure of less established players. In a controversial memo submitted to the Cannabis Control Commission, the dispensaries argued the agency must divide implementation of the recreational industry into two phases if it hopes to meet an aggressive July 1 target date next year for the start of pot sales. Under the dispensaries’ plan, the commission at first would incorporate many of the existing rules and systems for medical cannabis, giving them an early shot at selling recreational pot. Meanwhile, the dispensaries want the state to put off licensing cooperatives of small-scale marijuana farmers and limit a program intended to boost minority participation in the industry. Activists say the proposal would undermine a key provision in the new state law granting expedited licensing to companies that would promote economic empowerment of those arrested and incarcerated for marijuana offenses at disproportionately high rates — namely, minority and low-income communities. The dispensaries said those companies should receive expedited licensing only if they agree to operate as nonprofits and invest their revenues in “economic empowerment initiatives.” Activists called that idea protectionist and racist, saying it would simply steer more of the spoils from regulated pot sales to existing operators and well-off investors. The expedited licensing provision is widely seen as a key tool for ensuring diversity among recreational operators, a goal that has mostly eluded other states with legal marijuana industries. The law also requires the Massachusetts Cannabis Commission to study minority participation in the industry, and to steer tax revenues from pot sales toward “restorative justice” initiatives. But in October, the New England Treatment Access and several other medical dispensaries, through their attorney at Boston law firm Foley Hoag, suggested the provision was ripe for abuse. “Without stringent quantitative standards, we fear opportunistic applicants will present illusory promotion of economic empowerment in communities of color solely to obtain a licensing advantage,” the attorney, Kevin Conroy, wrote in the memo. He declined to name his other dispensary clients. Conroy defended the proposal, saying it was merely a suggestion about how to define who, exactly, is eligible for expedited licensing — something the law leaves unclear. And delaying the regulation of so-called “craft” cooperatives, Conroy said, is necessary if the commission hopes to promulgate regulations by March 15 and begin accepting applications on April 1, as the law requires. But activists said the proposal is little more than an attempt by existing medical dispensaries to handicap potential competitors, and would create a second-class license for minorities. The dispensaries also want to delay licensing so-called “craft cooperatives” of small-scale marijuana farmers. Conroy noted Massachusetts is the first state to set up such co-ops, and must do so carefully. “Without proper oversight,” Conroy wrote, “cultivation cooperatives could lead to a new unregulated market, divert cannabis proceeds to criminal elements,” and invite a federal crackdown on marijuana operators. Peter Bernard, who leads a coalition of Massachusetts home-growers, said the dispensaries are trying to limit competition, and argued craft cooperatives will provide opportunities to entrepreneurs who do not have much capital. Not all medical dispensaries agree with the Foley Hoag memo. Adam Fine, an attorney who represents other Massachusetts dispensaries, said delaying craft cooperatives would steer home-growers to the illicit market instead of licensed entities. And limiting some businesses to non-profit status, Fine added, is “antithetical to the intent of the law,” noting the a similar requirement from the state for medical dispensaries has made it difficult for them to raise funds. “Why on earth would we recommend that historically disadvantaged groups trying to get into the cannabis industry be forced to use a model that will result in less capital and less likelihood of success?” Fine said. A spokeswoman for the cannabis commission said the agency “has not discussed the question of postponing anything” and is committed to meeting its deadlines. 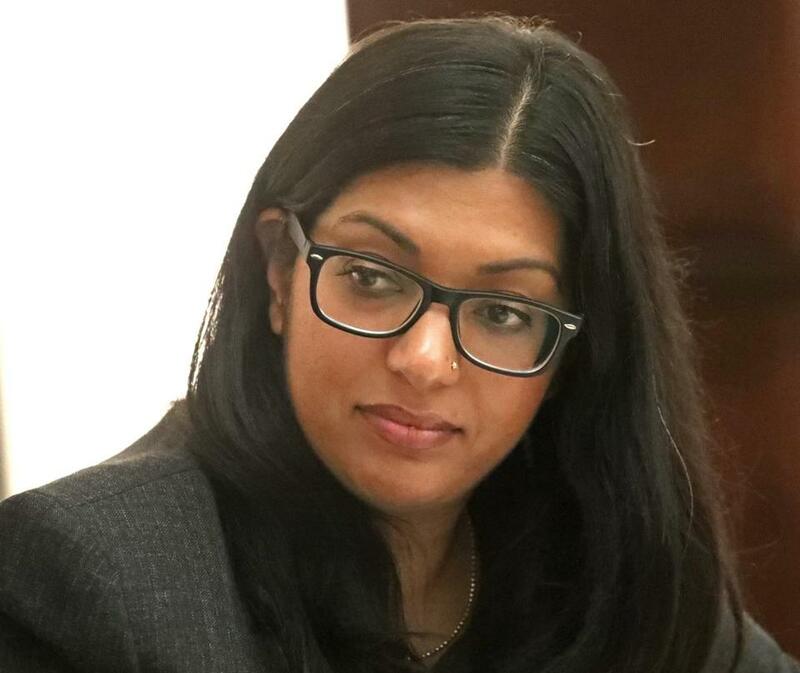 And Shaleen Title, one of the agency’s five commissioners and a former marijuana activist and entrepreneur, was even less receptive. “It is hard for me to imagine a scenario where we would disregard the Legislature, the general public, and state law, all of which have been clear that the development of craft marijuana cultivator cooperatives is a priority,” she said.